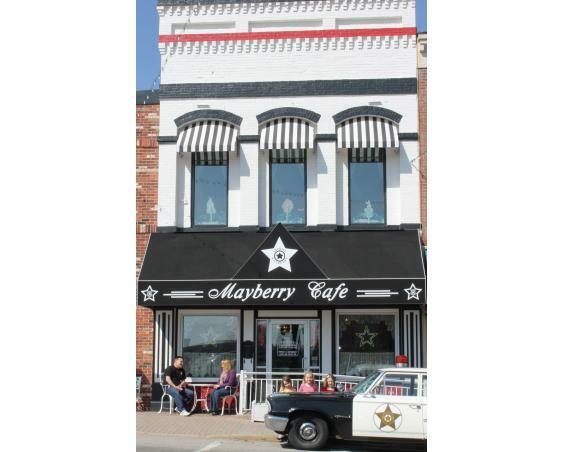 Take a step back in time to the 1960s with Andy, Barney, Otis and Aunt Bee at the nostalgic Mayberry Cafe. An experience at the Mayberry has become a visitor favorite as TVs air looping reruns of The Andy Griffith Show inside while outside they get pictures with Andy’s squad car. 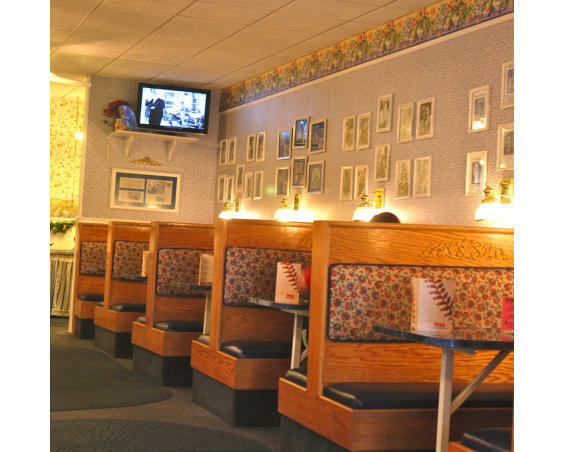 Enjoy home-style cooking and comfort food favorites such as fried chicken that you will swear Aunt Bee made herself. 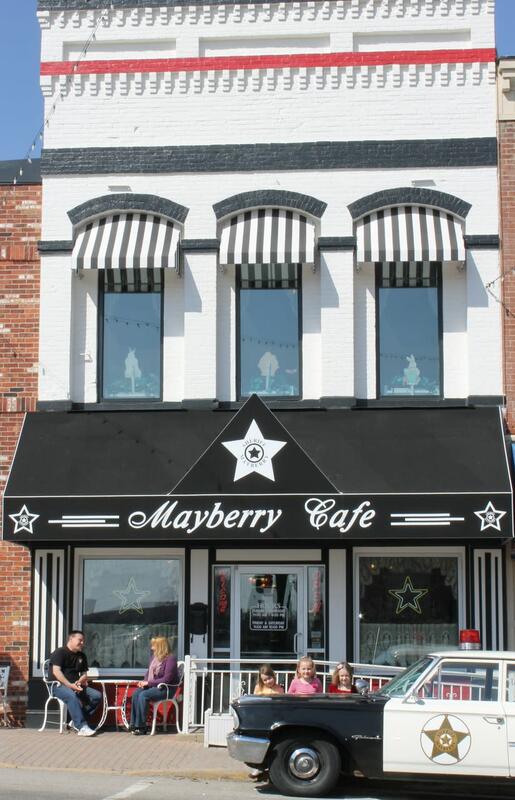 The Mayberry Cafe will have a Breakfast Bar every Saturday and Sunday 7:00 am to 12:30 pm. Description: This locally owned restaurant offers a group tour menu and is very popular with groups. 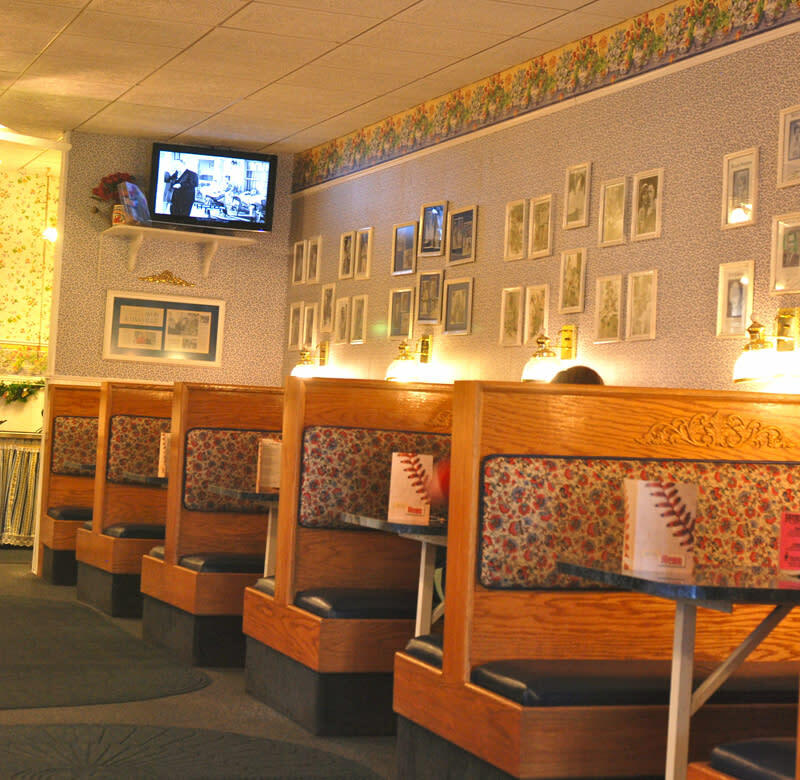 Description Enjoy comfort food while watching re-runs of The Andy Griffith Show. The upstairs level accommodates groups up to 75 people.